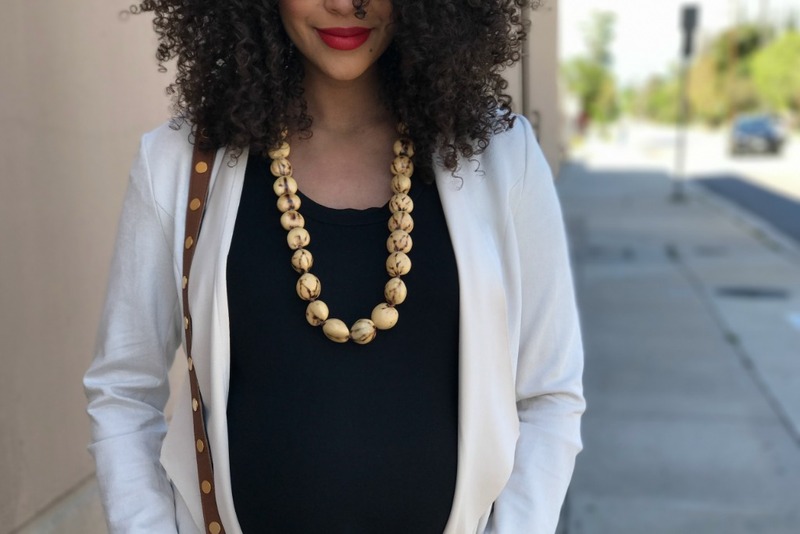 Home Tags Posts tagged with "maternity jeans"
This post contains affiliate links, including my Stitch Fix referral link. I earn a small commission each time someone signs up for Stitch Fix or makes a purchase through one of my links, which helps to support my blog. Additionally, this month’s fix was sent complimentary of Stitch Fix. All opinions are honest, my own and I’m so excited to share them with you. As my due date quickly approaches, my clothing selection has officially slimmed down. Why? Because my body’s growing and I’m running out of options. #Slayternity means nothing if I can’t pull something together and with 5 weeks left, purchasing new maternity clothing will be short-lived. Luckily, there is Stitch Fix, a personal style service that evolves with your taste, needs, and lifestyle. All it takes is a few minutes to fill out your style profile and you are one step closer to a delivery filled with stylish pieces to match your wardrobe. Before anything gets sent your way, you fill out a style profile that asks several questions to help determine what pieces will be best for you. These questions cover everything from your sizing, shape, style, budget and lifestyle to help your stylist pick the best options. A total of 5 items will be added to your fix. Next, pick a delivery date from their calendar. Once your stylist has picked your items, a styling fee of $20 will be charged that can be applied as a credit toward anything you’d like to keep from your shipment. When your fix arrives, you have 3 days to try everything on and decide what you’d like to purchase or what you’d like to send back. The beauty of this is that you are only charged for the items you’d like to keep during checkout. Stitch Fix clients receive free shipping both ways and a 25% discount if all 5 items are purchased. 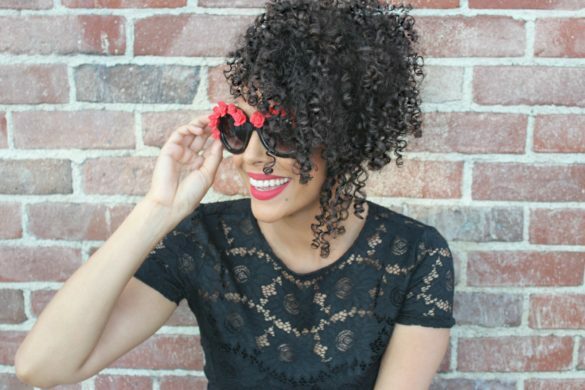 Because my body is in a state of growth, my style profile focused on comfort. What I love about the Stitch Fix website is that it caters to all body types, including maternity. After receiving my box in the mail, I was happy to see items that I knew would work for me. 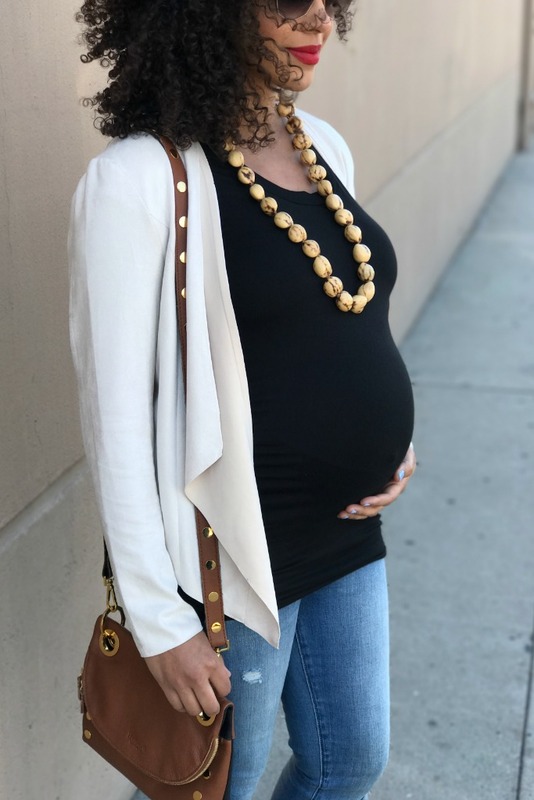 I thought I’d share my top items from my fix, one being a black Sollas Maternity Knit Top by Market & Spruce because of its simplicity and fit. It was easy to add the Dolce Cabo Brule Faux Suede Jacket right on top to take it from casual to chic. The texture of both the top and jacket were soft and lightweight, a bonus for my ever-changing body temperature. 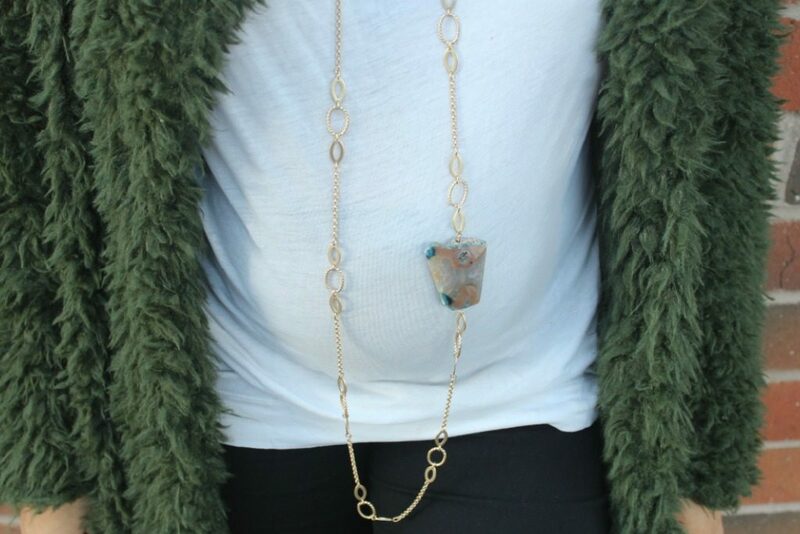 With these two simple pieces, I was able to add a chunky necklace from my personal collection to dress up the look. The Maternity Liza Distressed Skinny Jean by Lila Ryan were right up my alley. The light blue shade was casual enough for the daytime and the built-in belly band supported the extra weight I’m carrying.